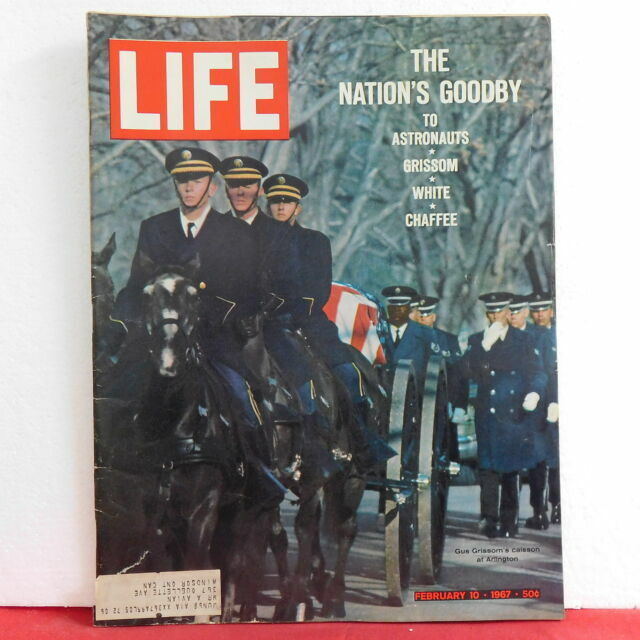 item 1 Nation's Goodby Life Magazine Astronauts Grissom White Chaffee February 10 1967! -Nation's Goodby Life Magazine Astronauts Grissom White Chaffee February 10 1967! "The Nation's Goodbye to Astronauts, Grissom, White, Chaffee"
Nice magazine...well preserved for 50 years.